These brake lines may look similar to others, but they are not the same! 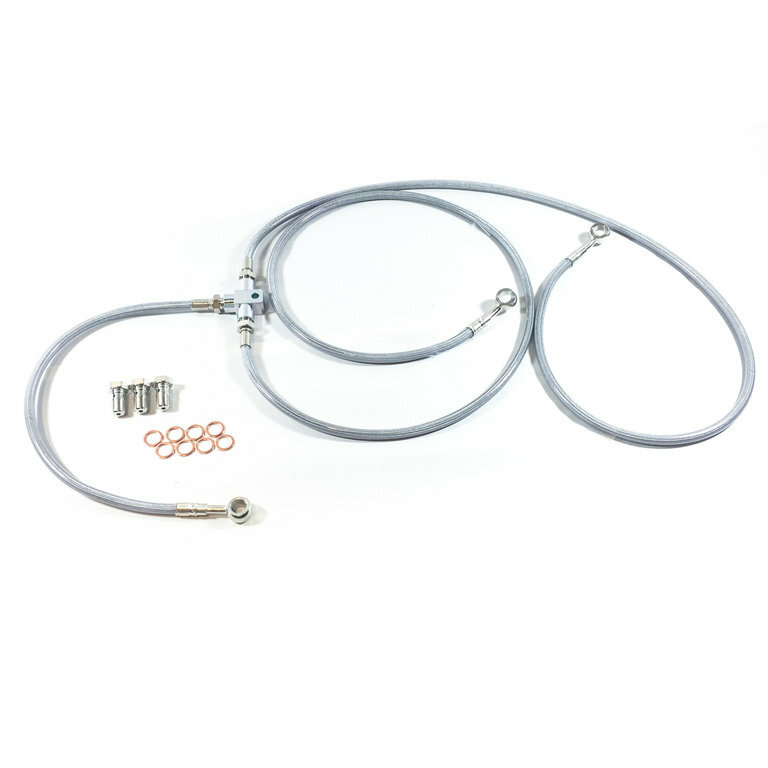 They are a stainless steel line made with only DuPont virgin grade PTFE inner core, 64 strand braid and the fittings are probably the most expensive, but highest quality you can find on the planet. These are the same fittings that Ferrari, Lamborghini and Ducati uses, among a few other high end OEM’s. The self-sealing T-block mounts to the original splitter location. These lines come with a lifetime warranty. Not because they are made at a low cost and we can afford to easily ship out replacements, but because they are made extremely well. All mounting components, extra washers, line end labeling, and bike specific installations, some with DVD’s are included. R&D and manufacturing is here in the US, along with customer accessible tech support. Lines available in different lengths. Race team tested and proven! Stainless Steel lines eliminate expansion which results in consistent feel and performance.